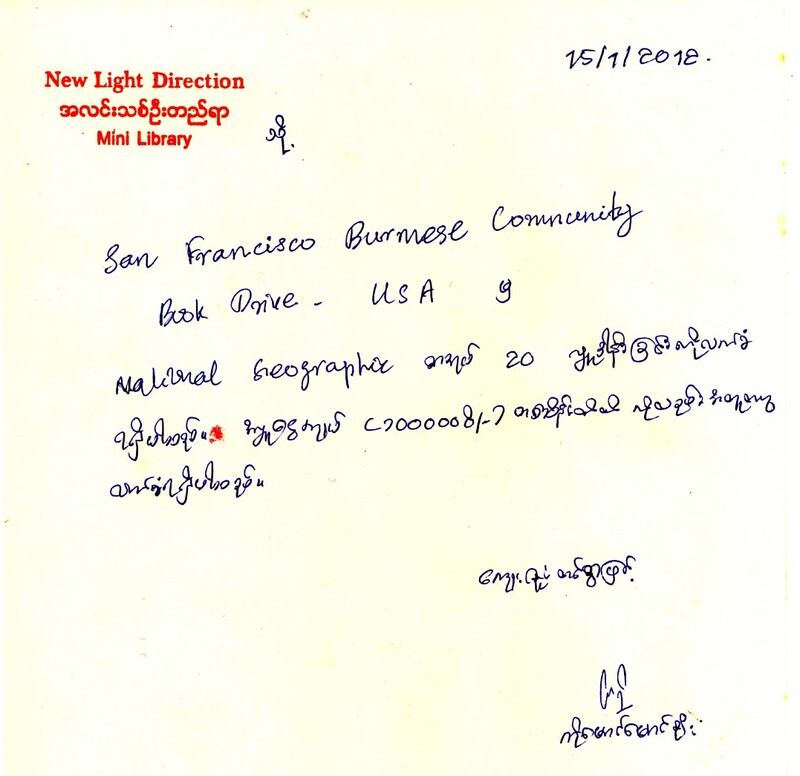 In the month of December last year, Ko Jason traveled to Burma for an outreach with the Burmese community. 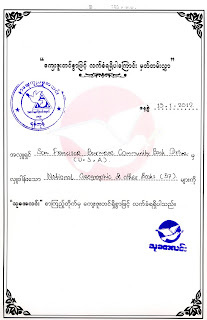 He first went to New Light Direction and donated 20 issues of National Geographic and 100,000 kyat. 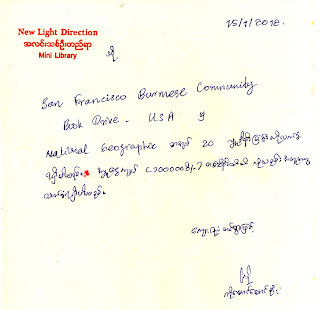 He then went to FFSS Yangon to donate 57 issues of National Geographic. 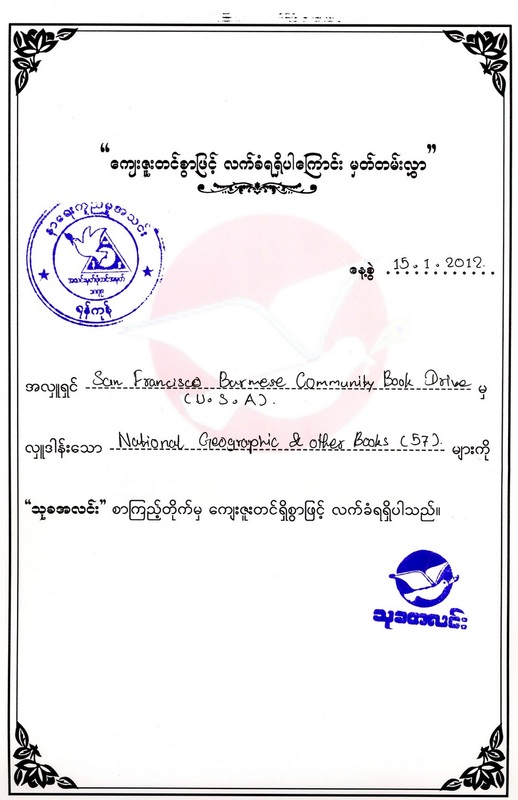 Lastly, he visited Pe Pin Monastic School and donated 50,000 kyat. He also met with children and promised them books. Overall this has been a successful trip.